The word ‘App’ was voted to be the word of the year by American Dialect Society in 2010. This shows of how apps became popular after the launch of the App Store. Apps have made everything just a tap away. We are dependent on apps to communicate to one another, to keep everything organized and for entertainment too. Moreover, there are number of businesses based on the social media apps. But like everything frequently goes under the process of evolution, the smart phones as well as the mobile apps have been evolving since years. It is impossible to discuss the history of apps without discussing mobile phones. 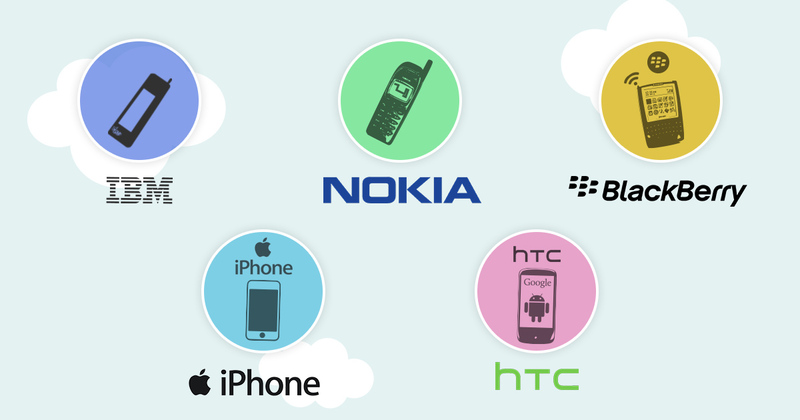 Let’s have a look at the journey of how smartphones and mobile apps have evolved over the time. In 1994, 16th august IBM Simon was launched, the first ever smartphone. By february 1995, 50,000 units were sold. Though it did not consist of a dedicated App Store it was the first smartphone with the telephonic as well as the personal digital assistant features with over 10 inbuilt apps like contact, calendar, calculator, clock. Simon was also able to send and receive fax. 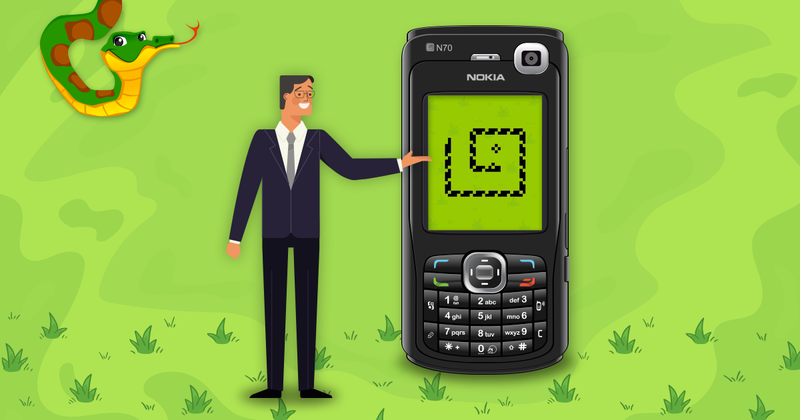 In 1998 with the launch of NOKIA 5110, the snake game was introduced. Still remembered by all it was the first inbuilt gaming app. Later in 2002 RIM launched BlackBerry 5810 with preloaded apps like calendar, to do list sketch pad, ringtone editor. In 2007 Apple released its first ever smartphone with few inbuilt apps like maps, photo messages and weather. And in 2008 along with the release of iPhone 2.0 Apple launched App Store with 500 apps available for download. App Store was a great success with 10 million app downloads in just a week. In the same year Google introduced android market and the first android phone was launched, HTC Dream. By the year 2011 the total App Store downloads had surpassed 10 billion. In 2012 Google took a great move by rebranding android market and launched Google Play Store. 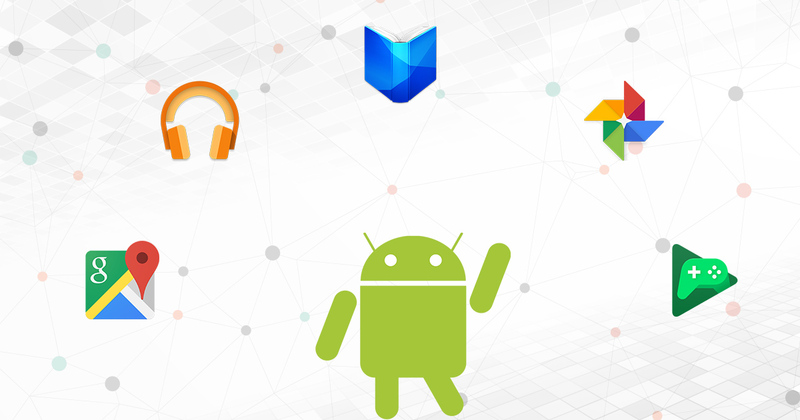 Google also released its own in-built Android apps like Google Music, Google Map, Hangouts, Google Book etc. By the year 2013 there were 50 billion app downloads on both App Store and Play Store. Today, there are 2.2 million apps on the Apple store making it the second largest App Store in the world. Google is the largest mobile App Store with 2.8 million apps available on Play Store. It’s been 9 years since the launch of the Apple store and almost 5 years since the launch of the Google Play Store. Millions of apps and billions of downloads witness the great success of both Google Play Store and Apple Store. Both the stores have made some developers amazingly wealthy and given a stable career to many. Few apps have been there since the beginning like Facebook and Super monkey ball. Infact within a month of the launch the game, super monkey hit 300,000 downloads. Facebook for initial two consecutive years remained the most downloaded app. The app fever was spreading as fast as fire. Launched in 2010 the app, Angry birds hit 2 billion downloads in just 4 years and in the same year another popular app was launched, Instagram. Siri made a debut in 2011 with the launch of iPhone 4s, the same year when Temple run came with a bang. Soon reached 100 million downloads, Temple run became one of the highest grossing apps in the App Store history. Continuing to stay strong in our lives both App Store and Play Store receives above 1200 apps addition everyday. Therefore, the mobile apps have a long way to go. And this success reminds me of a speech given by Steve Jobs back in 1980s. • Steve Jobs was confident on the personal computer being the new way of communication. 20 years before the era of mobile computing he talks about wireless email system. • His words saying, “Apple’s strategy is to put an incredibly great computer in a book that you can carry around with you and learn to use it in 20 minutes.” He said what we are today. • He compared the software development industry with the music record industry. Because a person is confused to buy a computer but he never gets confused to pick a music song for himself due to many options. And Steve Jobs believed that the software could be transferred through phone line removing the confusion so that a person could choose between multiple software options. That was his vision of App store. And today we know how relevant that speech was as our life revolves around such software options.